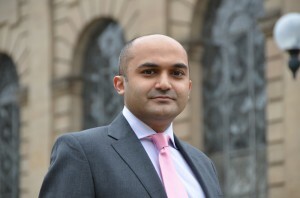 Kareem Mohsan Baig – Partner. Kareem commenced his practice in both contentious and non-contentious areas. He then specialised in Real Estate from 2007 with a premier commercial law firm in their Birmingham office and excelled in his area of practice. He is an experienced practitioner with a varied and loyal client base, ranging from high net worth individuals to multinational corporate entities. He provides commercial and easy to understand advice and works well in multi disciplinary matters regardless of their value or complexity. Kareem’s extensive knowledge of a broad range of business sectors coupled with his long experience and interaction with various individuals and corporations gives him a thorough understanding of legal issues. Most problems can be solved when tackled with the correct application and energy. His skills are well received by clients and he is always looking at ways of adding value for clients and providing innovative solutions. Clients always feel at ease with the comfort that Kareem looks after their legal as well as business interests. The best interests of his clients always come first. Kareem enjoys working in a close knit team and believes in building and maintaining mutual respect and integrity with both colleagues and clients.